Quality Encapsulations Garcinia Cambogia Review - Does It Work? Looking for a natural supplement to lose those extra pounds and leave you feeling great? Garcinia cambogia is a plant found in Southeast Asia which claims to lose existing fat, prevent the formation of new fat cells, reduce appetite and even act as a mood booster. 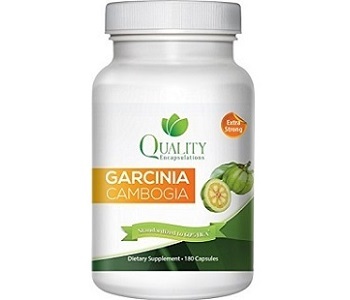 Take a look at our Quality Encapsulation Garcinia Cambogia review. We examine the ingredients, dosage, side effects and hundreds of consumer reviews to find out the truth behind this product. Check out our assessment below to see if this product is right for your lifestyle. The active ingredient is garcinia cambogia extract containing 60% hydroxycitric acid (HCA) which has been combined with calcium, chromium and potassium. The latter are said to enhance absorption of HCA. While it is true that potassium does aid with HCA absorption, calcium actually has the opposite effect and is not recommended in garcinia cambogia supplements for this reason. 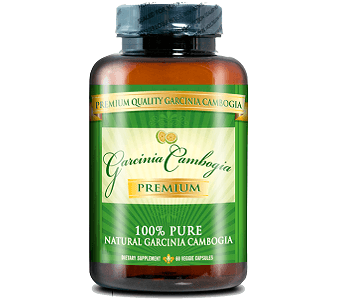 Additionally, we have found that the optimal efficacy of garcinia cambogia extract contains over 80% HCA. Lastly, these capsules contain gelatin making them unsuitable for vegetarians and vegans. The recommended daily dose is two tablets. Normally the label will instruct people to take garcinia cambogia with water or before a meal. Unfortunately, a picture of the label was not available on the manufacturer’s website. Upon searching the internet, we did procure a picture of the label, only to see that it was lacking dosage information. There is no mention of people who should not take this product, but most manufacturers of garcinia cambogia will advise pregnant or nursing women to consult with their healthcare professional before starting this supplement. The cost of one bottle of 180 count pills is $33.50. You have the option of purchasing this product on the manufacturer’s website, however, as of this writing, they are currently sold out. It is available for purchase on Amazon and other third-party websites as well. The lowest price we found was $18.99. After thoroughly searching the manufacturer’s website, we found no mention of a guarantee. When we checked on Amazon, we did see a guarantee listed as one of the bullet points. However, when looking for the fine print, there was none. Instead, we were directed to go back to the manufacturer’s website. While there may be a money back guarantee, it is difficult to say with 100% certainty. Our Quality Encapsulations Garcinia Cambogia review led us to many positive reports of weight loss and reduction of appetites. We are also pleased to report that this product is GMP certified. That said, we are hesitant to endorse this supplement as there is a lack of transparency. There is no phone number, physical address or email address listed on the manufacturer’s website. There is no picture of the back label of this product on the website and the ones we found elsewhere are lacking dosage and warning information. Additionally, there are no reviews or guarantee information on the manufacturer’s website either. This product may help many people but the manufacturer does not inspire buying confidence. Another cause for concern is the level of HCA in the garcinia cambogia extract. Quality Encapsulations Garcinia Cambogia only have 60% HCA whereas we look for products with at least 80% HCA. We recommend looking for other garcinia cambogia supplements which have a more effective dose of HCA.